A court in London on Monday ordered that Vijay Mallya, wanted for Rs 9,000 crore loans default by his companies and facing charges of fraud and money laundering, be sent back to India. The lawyer said that his whereabouts were known to the banks and investigating agencies. The lawyer of former liquor baron Vijay Mallya on Tuesday sought dismissal of the Enforcement Directorate's plea to declare him a fugitive in view of an extradition order passed against by him by a UK court. 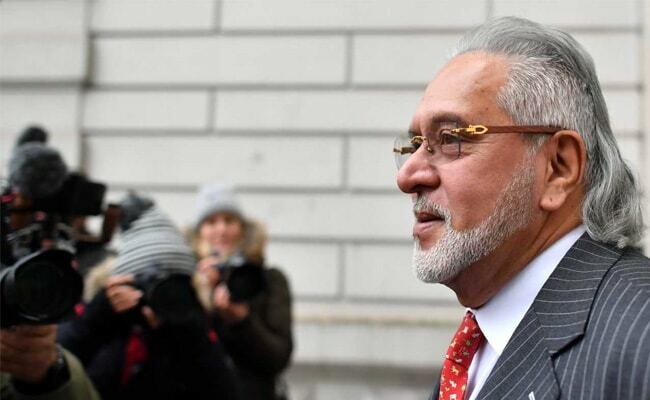 A court in London on Monday ordered that Mallya, wanted for Rs 9,000 crore loans default by his companies and facing charges of fraud and money laundering, be sent back to India. The ED had moved a special court in Mumbai, seeking to declare him a fugitive under the Fugitive Economic Offenders Act (FEOA). Amit Desai, Mallya's lawyer, told the special judge for Prevention of Money Laundering Act (PMLA) cases MS Azmi that in view of the London magistrate's order, the ED's plea should be scrapped. Mr Desai also reiterated his argument that Mallya did not leave the country secretly as claimed by the ED. "There was no secret departure. He left the country to attend a planned meeting (of World Motor Sport in Geneva)," he said. Mallya was a non-resident Indian with a house in London and his whereabouts were known to the banks and investigating agencies, the lawyer said. The businessman was ready to surrender in the United Kingdom where he had been living for 28 years, but he could not be put in the hands of the agencies which were not ready to follow procedures, advocate Desai said. Mr Desai wound up his argument and the ED lawyer was expected to argue on Wednesday.